I'm not talking divine Providence or even Providence, RI, the next town over from where I spent many years of my youth. I'm talking providence, as in the "prudent management of resources". 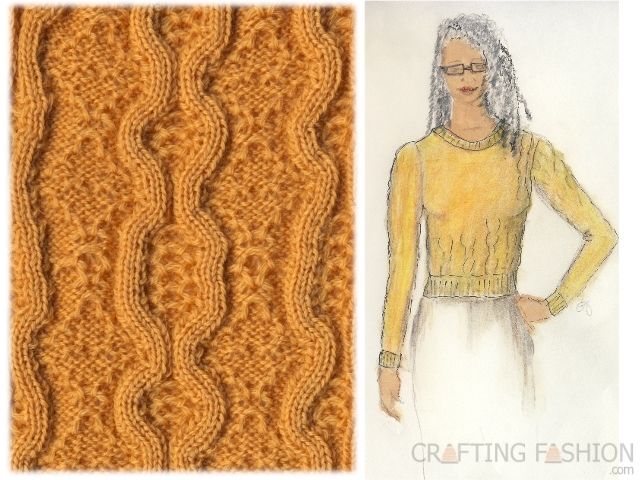 Do luxurious knit fabrics and providence really go together? Well, yes, actually. It seems that nearly all my old sweaters are oversized. And now most of my big sweaters do not fit comfortably under my favorite winter coat. 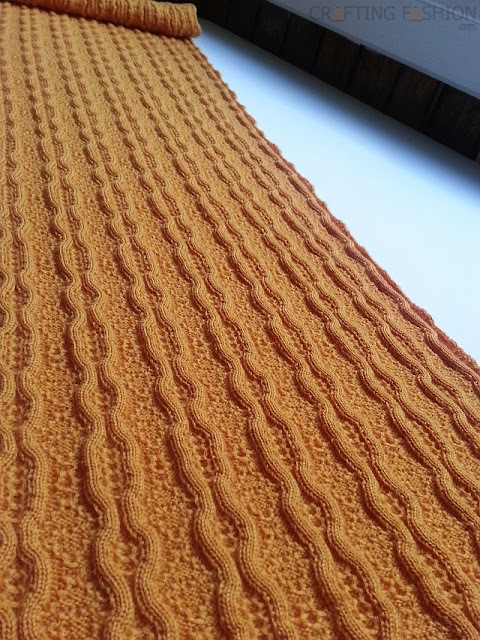 To remedy that situation I've designed a fancy rib fabric with lots of horizontal stretch for my next sweater. My new sweater will use less material and have less bulk than my old sweaters, and thus my nod to providence. Though what originally got me started on this blog was the challenge of using some of the methods of Tomoko Nakamichi to craft fashion, I've temporarily moved in another direction for this project. This time I've been inspired by my need for a cute, warm and non-bulky sweater and by my own fabric design. This is what I've come up with. Above is the first sketch I've made since I finished my quick sketch class last June to refresh my skills. It's regrettable that I haven't been practicing, but I think the sketch is still clear enough to convey my idea. Moderate scoop neck, neutral ease, all over stitch pattern, ribbed cuffs, neck and bottom edge -- when the stitch design is fancy, the sweater shape needs to be simple. I drafted a pattern a couple days ago and picked up the full size paper pattern, printed on bond paper, from the printer yesterday. The fabric is a wonderfully soft merino wool, and after prepping, it seems even more luxurious than it was before. The softness of the material feels fabulous against the skin. And I just love the way merino yarn fulls. I'm very excited to start cutting and sewing. Soon. Oh!!!!! This pattern is lovely!!!! While I'm here, I wish you a happy Holiday season!!! What a darling sweater. Looks warm and cozy without all the bulk.